I haven't blogged in awhile - especially since I've moved to my new blog. What I have been doing is a bunch of thinking. And thinking. And wondering. And then some more thinking. What was I thinking about, you ask? I was thinking about why I scrapbook. Who do I scrapbook for? What stories are being told? The ones I want to be remember, or the ones that seem appropriate to tell? Sadly, I had lost sight of why I truly loved scrapbooking - to make something beautiful (or atleast to something beautful to me) and to record our stories. Somewhere along the way, I fell into the trap of trying to creating what others deemed beautful, and I got lost. I lost the stories from my heart, the stories of my family. All in an attempt to follow the trends...to create something that someone else would like. Not anymore. I am determind to create from my heart....using my creativity....being authentic to myself. Even if no one likes it or cares about what I am doing. So, dear blog readers, I am making a promise to you. And to myself....good, bad or more likely somewhere in between, I am going to scrapook my way, with my stories, using my heart. 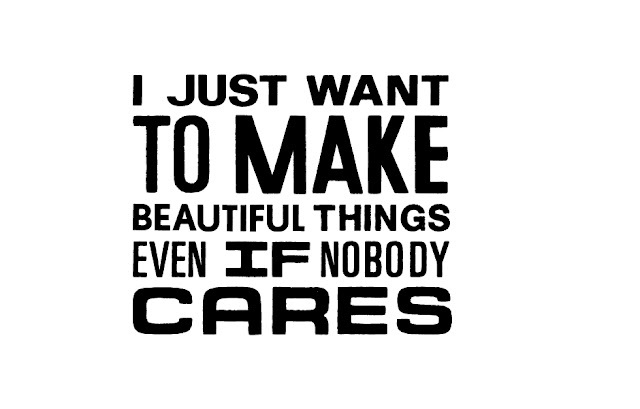 I just want to create.